This is one of those weddings where I had an impossible time narrowing down the images to share with you. Deandra's sister is somewhat of a matchmaker, and I'm not talking about how she introduced the happy couple. As a matter of fact, she paired up Deandra and myself a few years ago. "You should meet my sister, she designs invitations." Long story short, after an awesome business blind date, I had a fabulous new friend. Shortly after that, Deandra designed my KJ and Co. branding, which I love. I was beyond excited when I got the news that she and Winston were engaged and she wanted KJ and Co. along for the ride. As you might guess, when a talented wedding industry pro gets married, the wedding is full of incredible details, and an awesome team is assembled. Winston and Deandra's Hamilton wedding at Liuna Gardens, was no different. The paper goods, designed by the bride herself, under the umbrella of her business Simply Sealed were incredible. Their big day was inspired by Tuscany and was a thrill for guests. Following their beautiful church ceremony, guests enjoyed cocktail hour on the patio, along with dozens of delicious homemade cookies, and helped themselves to Italian olive oil favours. Their gorgeous indoor dinner reception had not one, but five cakes by The Dessert Room. Following dinner, guests went back outside, to dance to a live band in the tent, and enjoyed fresh espresso and gelato. 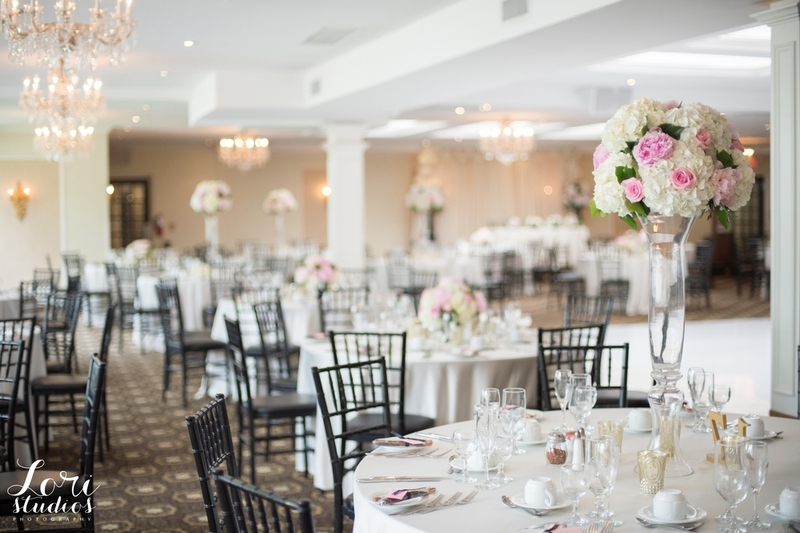 Wedding Planning & Design by KJ and Co.
Alex and Eddy hosted their elegant blush, white and black wedding at Liuna Gardens in Stoney Creek, photographed by Lori Studios. Full Planning & Coordination by KJ and Co.